Xiaomi’s Redmi is among the key smartphone brands offering quality products with a high value for money. 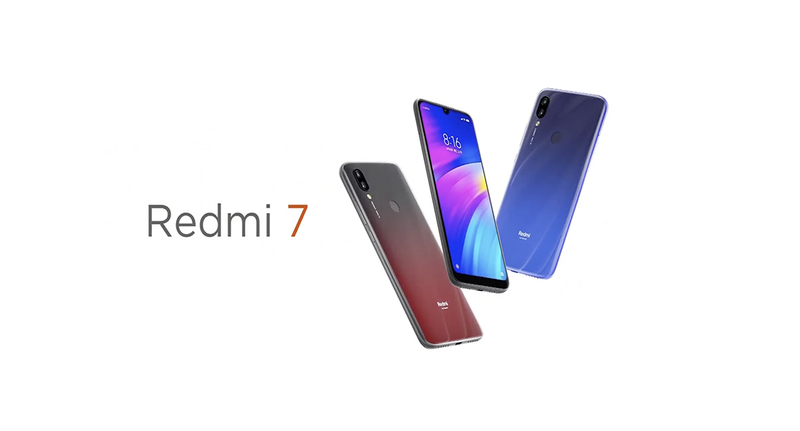 After launching the Xiaomi Mi 9 globally and Redmi Note 7 and Redmi Note 7 Pro in India, Xiaomi today announced the Redmi 7 in China. 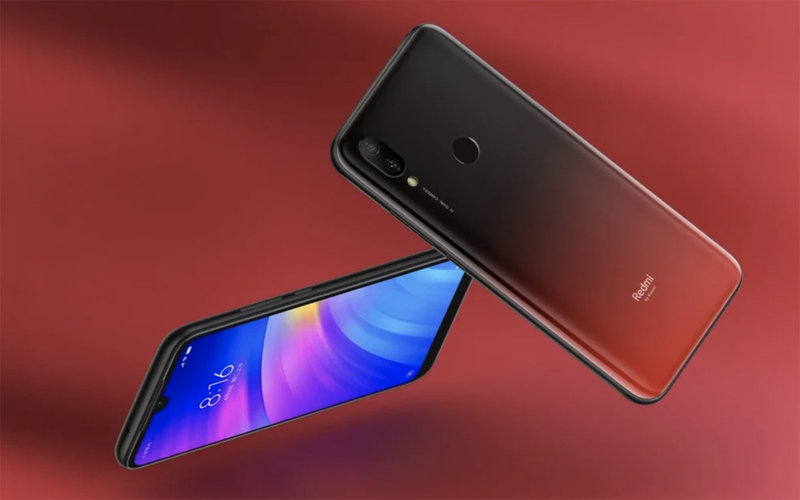 The Redmi 7 serves as the successor to the Xiaomi Redmi 6, which was launched last year alongside Redmi 6 Pro and the Redmi 6A, and starts at 699 yuan ($105). 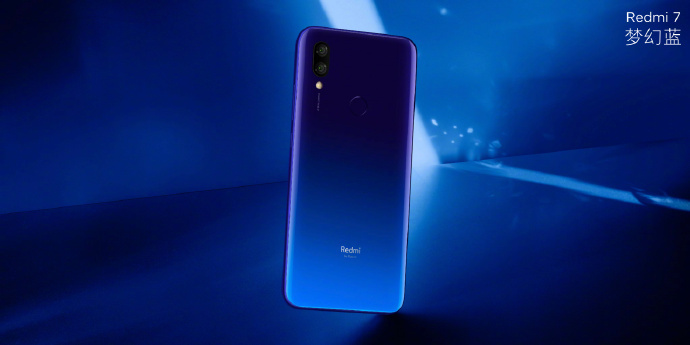 Redmi 7 dons the modern water drop notch above its 6.26-inch HD+ display, which has an aspect ratio of 19:9. The smartphone also scores well on the durability front, thanks to the Gorilla Glass 5 protection above the screen and the P2i liquid-repellant nano-coating for resistance against water splashes. Further, the display has been certified by Germany’s TÜV Rheinland with a promise of cutting down blue light and protecting users’ eyes from any fatigue due to excessive usage. The Redmi 7 is powered by a Qualcomm Snapdragon 632 SoC and will be available in three different RAM and storage variants – 2GB RAM with 16GB of storage, 3GB RAM with 32GB of storage, and 4GB RAM with 64GB of storage. The chipset is a significant upgrade from the MediaTek Helio P22 SoC which powered the predecessor, Redmi 6. Another major highlight of the Redmi 7 is its 4,000mAh battery and Xiaomi claims this results in standby of 400 hours. The device supports a charging rate of up to 10W and comes with AI optimizations to increase the backup further. For photography, the Redmi 7 is equipped with a 12MP primary camera on the back along with a 2MP depth sensor. It uses the same camera sensor as the Mi 6 – Xiaomi’s flagship from 2017, which represents the dynamic and fast-evolving smartphone landscape, especially in the Asian markets. The onboard AI improves pictures captured with the rear camera further. On the front, the Redmi 7 features an 8MP camera for selfies. This camera comes with an AI beauty mode and also supports face unlock. 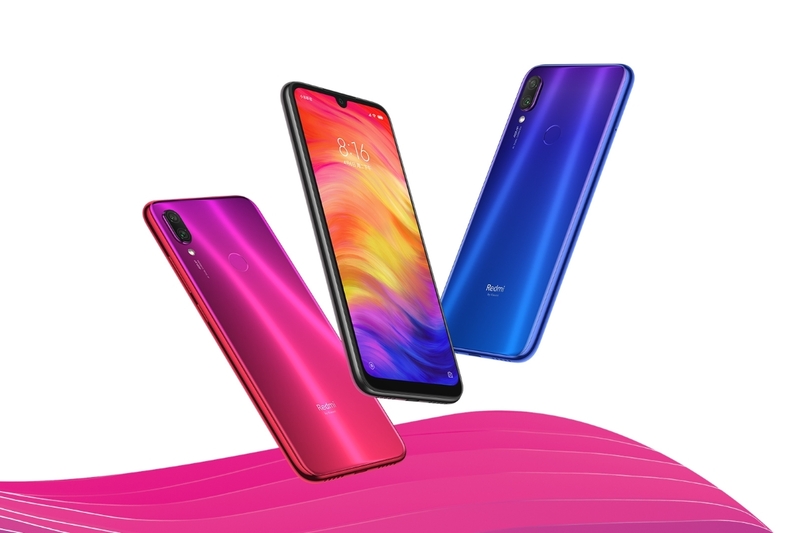 The Redmi 7 comes with multiple connectivity options including 4G VoLTE, Wi-Fi, Bluetooth, a 3.5mm headphone jack, GPS, and an IR blaster. While the smartphone’s back might give the illusion of a polished glass surface, it is actually made from polycarbonate material. Along with the glossy black finish, the smartphone is available in two different choices for color gradients – blue and red. The 2GB+16GB variant is priced at 699 yuan ($105 or ₹7,150), the 3GB+32GB version at 799 yuan ($120 or ₹8,200) and the 4GB+64GB one for 999 yuan ($150 or ₹10,200). As for the availability of the Redmi 7, the device will be available in China starting March 26 but there is no word on its availability in other markets including India yet. 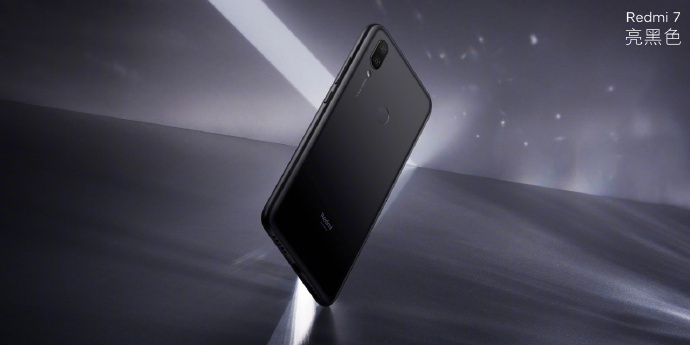 Alongside the Redmi 7, Xiaomi also launched the Redmi Note 7 Pro in China. This is typically the same device which was launched in India last month, with key features including a 48MP Sony IMX 586 sensor, Snapdragon 675, and support for Qualcomm’s Quick Charge 4 protocol. The Chinese variant will also come with an 18W charger within the box, unlike the Indian units. 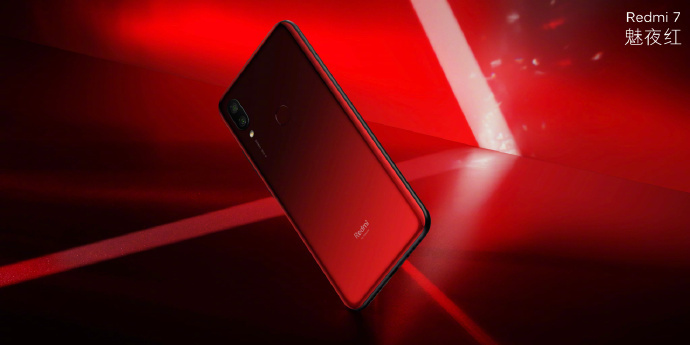 The 6GB variant of the Redmi Note 7 Pro is priced at 1,599 yuan in China and will be available for pre-booking starting tomorrow, March 19, and for sale on March 22. The 4GB variant of the Redmi Note 7 Pro, on the other hand, was not mentioned at the event so it is safe to assume that the version is currently exclusive to India. 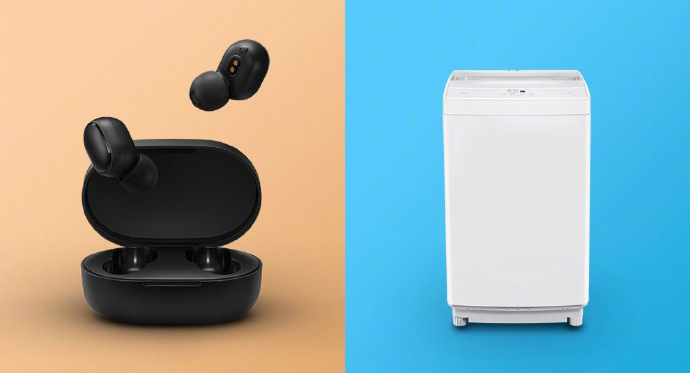 Besides the two Redmi smartphones, Xiaomi also launched the truly wireless Redmi AirDots, which seem to be the (even) more affordable versions Xiaomi AirDots launched last year. The Redmi AirDots are priced at 99.9 yuan ($15, ₹1,000), which is exactly half of what the Mi AirDots are priced at. These cheap wireless earphones weigh only 4.1 grams on each of the ears and utilize Bluetooth 5.0 for connecting to your smartphone or other devices. In a single charge, the Redmi AirDots can last for up to 4 hours. Additionally, Xiaomi also announced the fully automatic washing machine with a maximum capacity of 8kg. Apart from offering washing and drying in the same cylinder, the washing machine also supports a self-cleaning functionality. It will be available in China starting April 9 for a price of 799 yuan or $120.